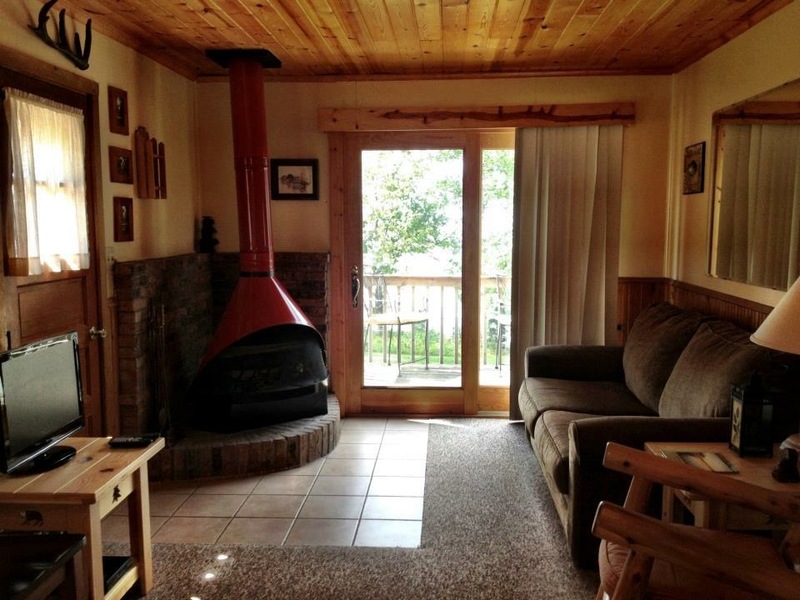 A spacious yard surrounds this two bedroom air-conditioned cabin. Stunning view from the large deck that overlooks the lake . . . remember those sunsets? Cabin 3 comes complete with wood to burn in the fireplace. 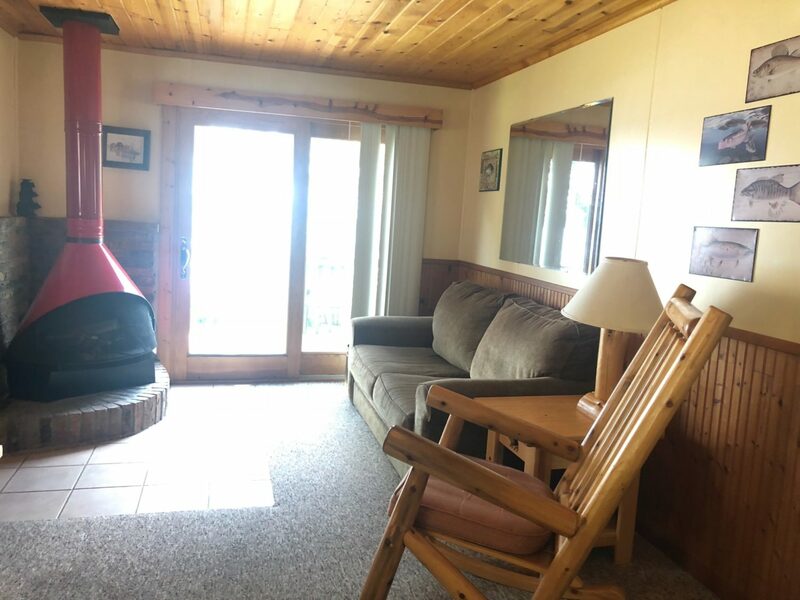 This cabin has a hide-a-bed to accommodate two additional people. 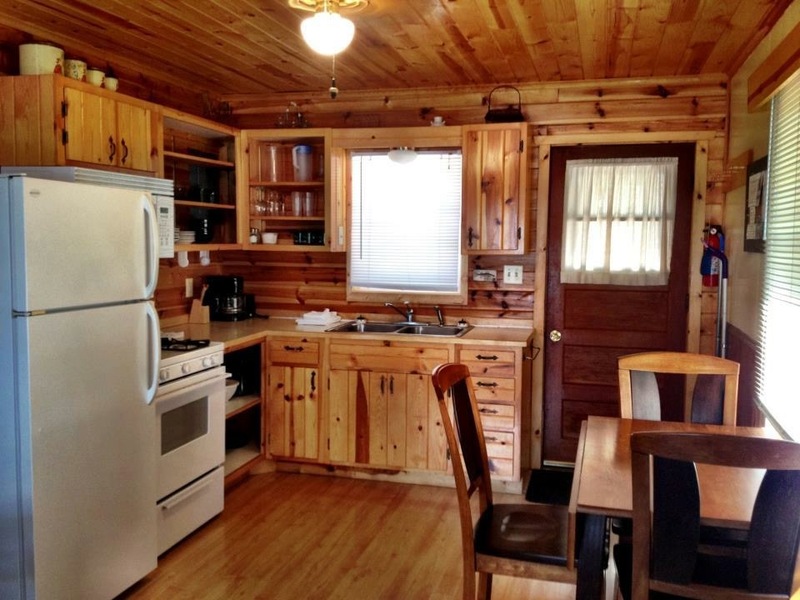 The kitchen in cabin 3 was recently remodeled to include knotty pine, air conditioning and ceiling fan. 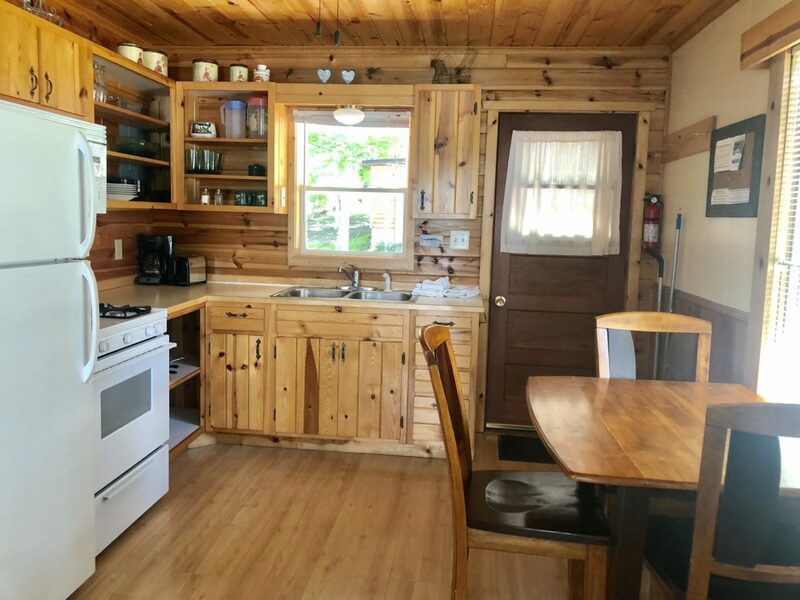 Like all of our cabins, this one includes a thoughtfully equipped kitchen with a microwave, automatic coffee maker, wine glasses and cooking utensils. Take a quiet nap in the comfortable living room or enjoy a fire (wood included) on a cool night. This cabin also offers electric heat. 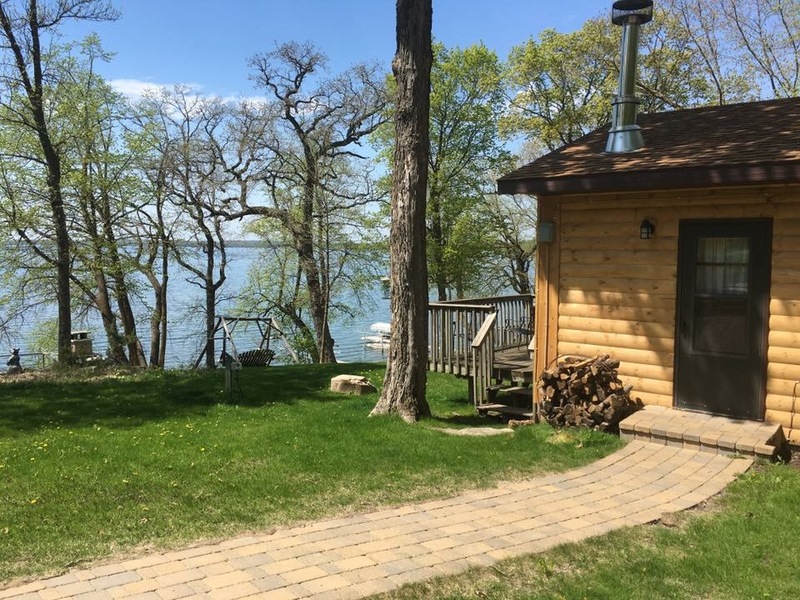 Walk out the patio door to the large deck and you will find a stunning view of the lake. What a wonderful place to watch a gorgeous Minnesota sunset! 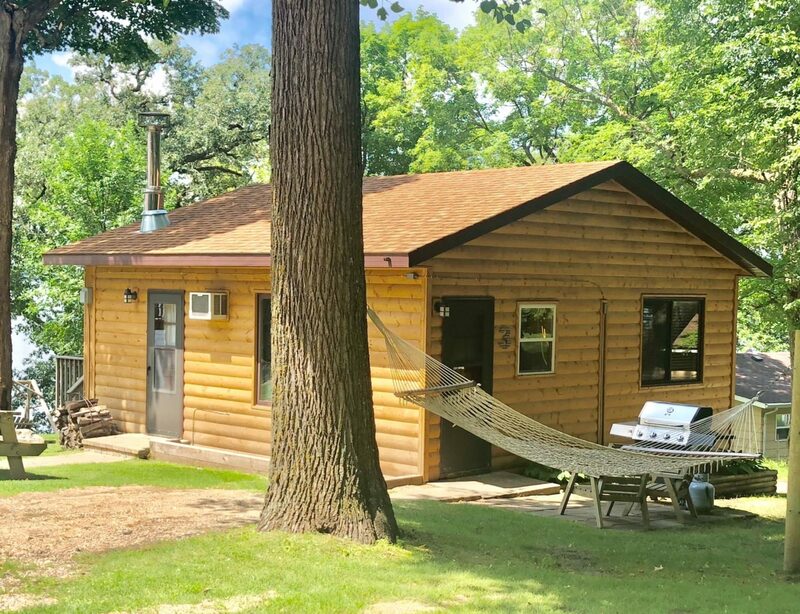 This is our largest 2 bedroom cabin. You will find both bedrooms have a queen bed. The hide-a-bed will sleep two additional people. Cabin 3 has a tastefully decorated bathroom with knotty pine.